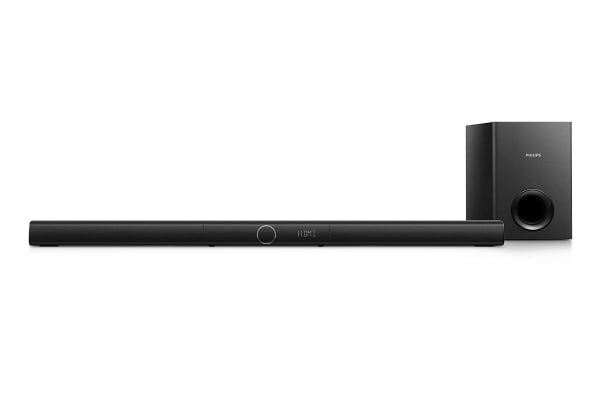 A sleek 3.1 Soundbar that adds the richness, the clarity and the magic of surround sound to your TV audio. Flat screen TVs have gotten thinner but that meant compromising on the speakers! The Philips 3.1 Channel Soundbar with Subwoofer (HTL2193B) adds the power of Virtual Surround Sound, so you can enjoy a more realistic movie experience on the same TV! With this Soundbar in place, you have highly advanced spatial algorithms replicating the sonic characteristics that occur in an ideal 5.1-channel environment. What this means for you is that you can enjoy true-to-life, multi-channel surround sound without spending on extra speakers, stands or wires to fill up your room with sound. 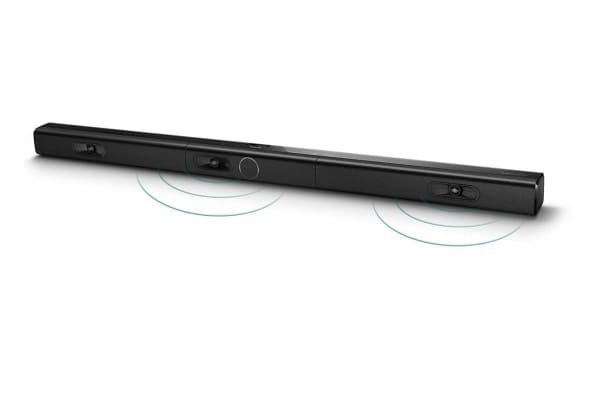 This 3.1 is Bluetooth enabled, so you can easily connect to other Bluetooth devices like laptops, smartphones or tablets to play your favourite playlist from these devices wirelessly on your soundbar! Thanks to Dolby digital surround sound, you’ll be able to enjoy thrillingly realistic sounds like the sound of bullets zipping past your ears, or footsteps approaching from behind. The Philips 3.1 Channel Soundbar with Subwoofer enhances your TV viewing experience with theatre-quality sound.